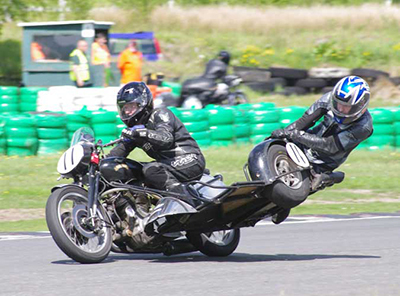 Quirks Classics Motorcycle Services is the product of over forty years of motorcycling and over thirty years of racing the Vincent marque to many successes in the United Kingdom and Europe. Based in West Yorkshire in the heart of Bronte country our motorcycle service is tailored to meet the needs of the Vincent and classic motorcycle enthusiast with a no-nonsense, reliable and timely approach. 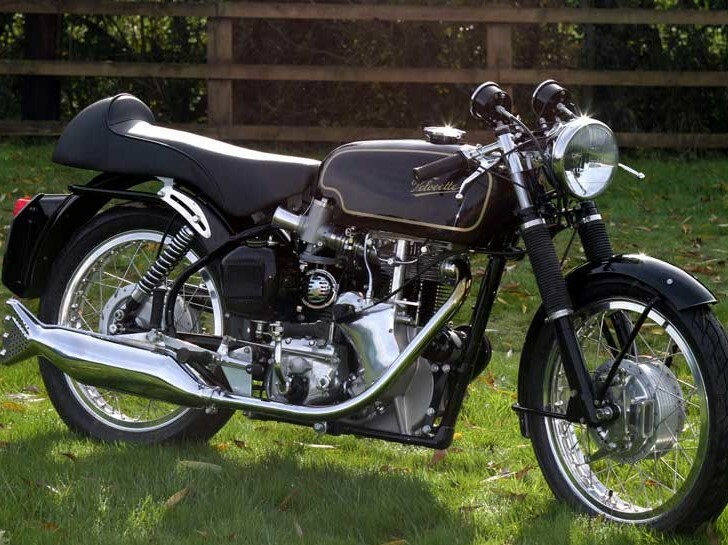 Proprietor Martin Quirk, Batchelor of Engineering began his motorcycling career aged 6 on a Honda based monkey bike before moving onto BSA Bantams and then aged 12 built a Triumph Tiger cub from autojumble parts. AJS single cylinder pre unit machines followed as road transport in solo 350cc and sidecar 500cc form which gave him a taste for three wheels before working on his father’s Vincent Rapide in 1987 which required a full overall since purchase in 1960. In 1988 Martin joined the Vincent Owners Club, purchased a touring Rapide in large pieces and made the machine road worthy for pleasure use that year. 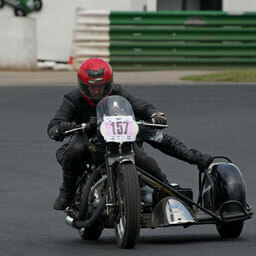 The racing sidecar bug had taken hold and a tuned 500cc Matchless single was built and prepared for Vintage sidecar racing before realising that the Vincent in standard sidecar trim had superior performance, this led to rolling up at the Vincent Owners Club in October 1989 for his race debut, a mixed day followed with the best novice award collected ensuring the racing bug had took hold. 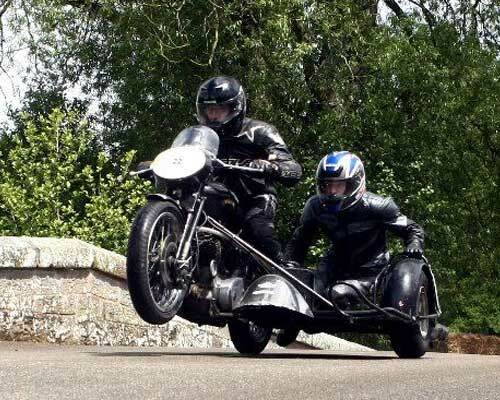 The development of the Vincent outfit followed over the years with sidecar and threewheeler championships collected in Vintage club, Classic Racing Motorcycle Club, Retford Motorcycle Club, Batley Motor Hillclimb Club events with the last being with the British Historic Racing Club in 2013. The original 998cc Vincent unit has been developed by Martin with bore and stroke increases giving a current capacity of 1272cc with cycle part modifications including disc brakes and revised steering geometry. A tuned 1272cc engine was installed in an ex Ian Hamilton Egli chassis in 2002 and has been used by the Quirks in hill climb and sprint events to much success as well as British Historic parades. Following a serious road crash in 2014 Martins racing has been suspended and given the opportunity to work with bikes as his new career Martin resigned from his NHS Estates Management Head of Technical Services. 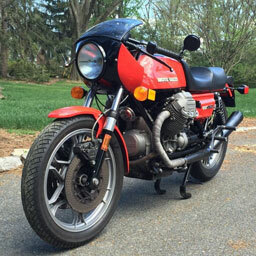 His time is now spent using the knowledge gained over years of race preparation to provide a service for classic motorcycle enthusiasts specialising in the Vincent marque. Vincent specific servicing work undertaken on all models of the Vincent marque. From fast road engines to high specification race preparation, many performance enhancing options are available. 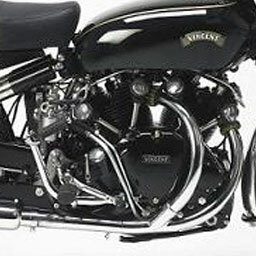 Full or partial restoration work undertaken on your single or twin Vincent motorcycle. 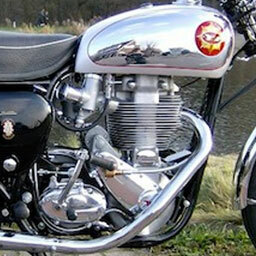 Full or partial restoration work undertaken on a wide range of classic motorcycles.